The GS2024-E is the last generation of SIMA twister winders , designed under the two-for-one-twist principle for the production of twisted yarns specially conceived for cable filler, in the range of 20,000 – 600,000 deniers. All moving parts have been studied for optimal ease of operation allowing the GS2024-E to operate at 1.500 rpm, with a standard production capacity of 3000 twists per minute. 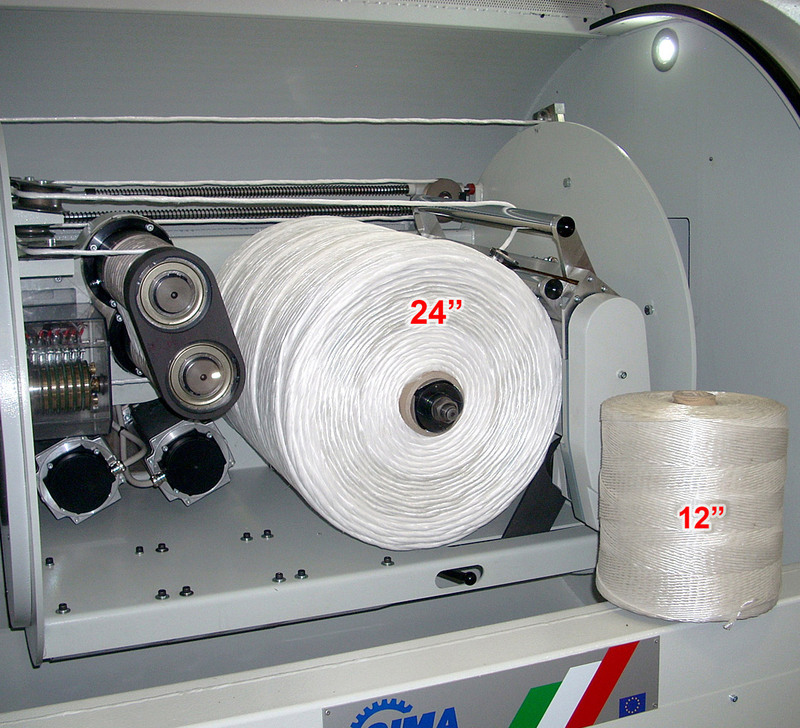 This machine is suitable for making multi-threaded twisted yarns from 40,000 up to 400,000 deniers from synthetic and natural fibers and special version from 20.000 to 600.000 deniers, starting from yarn spools or bobbin and with take-up on spool from min. 12”x12” to max. 20”x24”, equipped with main A.C. driving motors, with mandrel – multiple type for the production of spools with tube – expansion type with link rods for spools without tube. 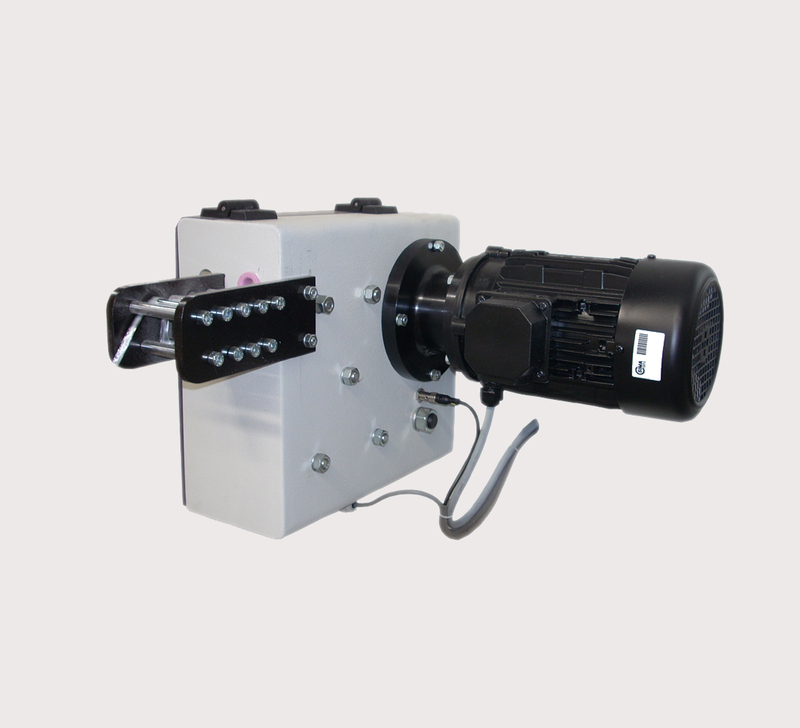 Screw boxes are available from 12” to 24” traverse. Change machine twists per meter through the operator panel thanks to the two electrical motors installed on the machine.